The cast of The Office (US) had a reunion over the weekend. This is making us even more excited as there has been lots of rumours regarding a reboot. Kinsey posted a photo from the get-together on Twitter, which was hosted by The Office creator Greg Daniels. As well as Kinsey and Daniels, they were also joined by Rainn Wilson (Dwight), Jenna Fischer (Pam), Ed Helms (Andy), Creed Bratton (Creed), Leslie David Baker (Stanley), Paul Lieberstein (Toby), Leslie David Baker (Stanley), Oscar Nunez (Oscar) and Phyllis Smith (Phyllis). 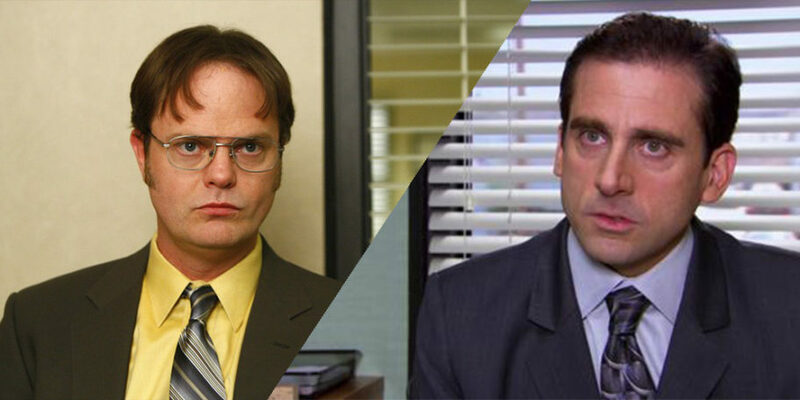 We were all heart-broken when it was revealed that a new version of The Office is potentially due to air during the 2018-2019 TV season, and Steve Carell would be missing. However it does look like some members of the original cast will be returning, joined by a number of new faces. The show will apparently be based in Dunder Mifflin’s office in Scranton, PA. According to the report, someone else will take over the role as ‘the boss’ with a search for the actor to play the part reportedly now underway. It’s been five years since The Office was last on our screens, and yet even all this time later we’re still finding things out about the show that make us love it even more. The latest Easter Egg will only make sense to you if you watched Episode 13 of Season 4 of the series – ‘Dinner Party’.